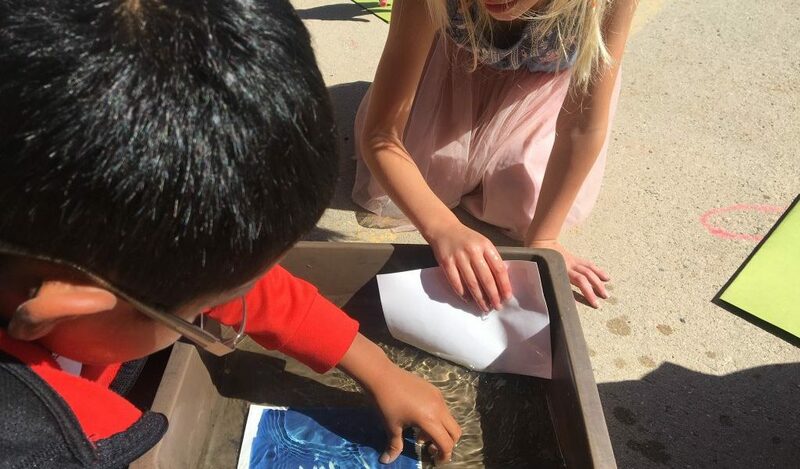 BTSALP Visual Art specialist, Catherine Widner and the first grade students at Jim Bridger Elementary, used a beautiful sunshine filled day to create cyanotypes using items from nature. First Grade Science Standard 4 – Life Science: Students will gain an understanding of Life Science through the study of changes in organisms over time and the nature of living things. 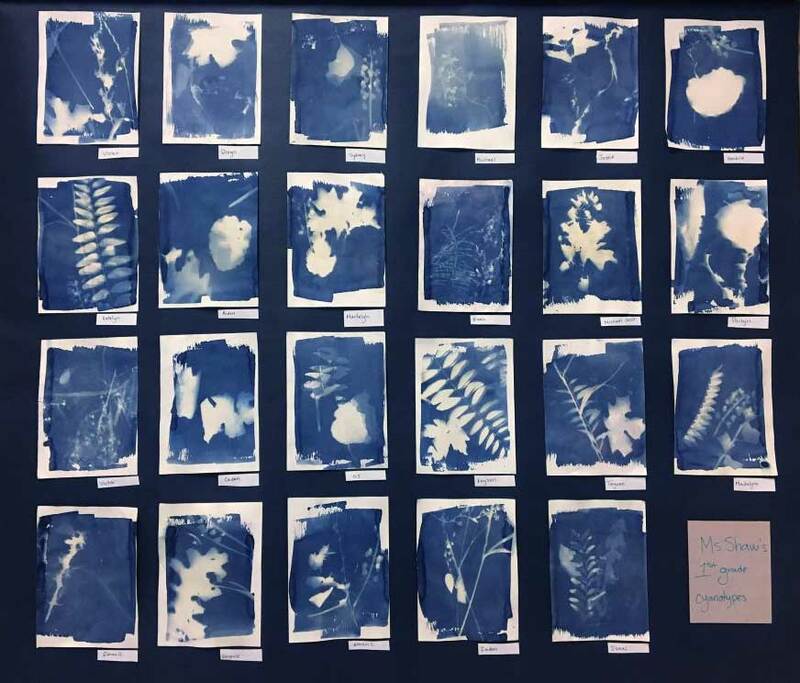 Thanks to the Education majors from the University of Utah who were on hand to help the first grade students arrange their materials and process their cyanotypes. How fun! What a beautiful display of nature the students have created. I love this project!!! Yes, this is exactly what ART IS ABOUT. I wanted to be a part of the UT and BTS development, tried in every district to find a job!!!! Too bad I had to move to Arizona to find work. They handed me a license and now I am on the way to Grad School.